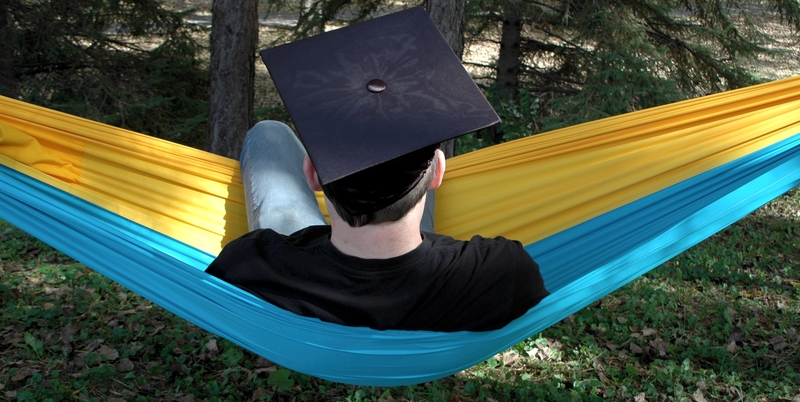 What better way to celebrate the graduates in your life than with a Color Cloud Hammock and inspiring words to launch them into the next adventure. So, you get the Color Cloud Hammock and we’ll provide the inspiration with this poem we wrote…with some help from Dr. Suess. Congratulations Graduates! Oh the Places You’ll Float! Congratulations to you. You’ve achieved a great thing. It’s time for a party. Put your feet up and swing. You’re off on adventure. You’re off and away. A sky full of dreams that starts with today. Yes, you’re amazing. This is your week. And we know what you need for the adventure you seek. to celebrate you with your own Color Cloud. So, throw off your cap, and pack up your tote. This is just the beginning of the places you’ll float. On beaches in parks or in quads where its sunny. Will you sail all the seas and get on the Cloud Tracker? Each Color Cloud Hammock is unique, just like you. Take a rest, then get out there, be all you can be. You’re off on your own now, you know just what to do. Find your path and get started, to your own self be true. Take some time watch the sky, soon your dreams will appear. Reach for the clouds, reach for the sky. Make big things happen, go on and try. Head to the road and follow your cloud. Remember we’re right here, cheering and proud. Remember, your hammock can safely hold two. Life’s best in a hammock without any shoes. You’re set for the sky, today is your day. Your cloud is awaiting, get off and away. And like your ambitions, your colors will fly. So get cracking, get out there, Oh, the places you’ll float!